Dave McDonald, a local veteran, will be honored by the Neillsville Legion in an event this Monday. Dave McDonald will be honored by the American Legion Post 73 as a part of the Legion’s monthly tribute to veterans. McDonald was born in Urbana, Illinois, where he completed eighth grade. He then went to high school for two years in Marshfield before quitting school to help his parents with their farm. 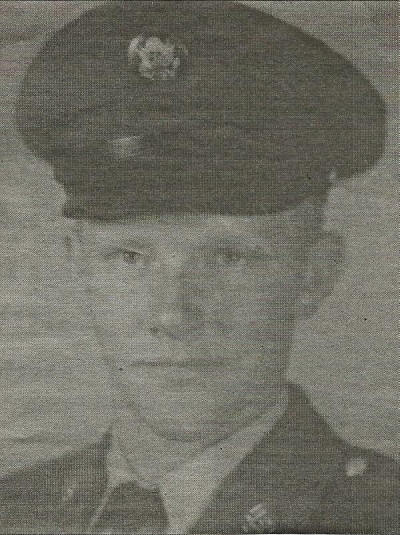 In 1959, when he was 17, McDonald joined the Army National Guard. His basic training was at Fort Leonard in Missouri. He was transferred to Fort Lewis in Washington for active duty in 1962 during the Berlin Crisis. After the crisis was resolved, McDonald’s company did training at Fort Lewis for a year. McDonald then returned to the 32nd National Guard in Neillsville where he trained to become a specialist E-4 in Troop A of the 1st Squadron of the 105th Calvary. He was discharged in June 1968. McDonald lived in rural Neillsville and worked as an over-the-road truck driver. He and his wife, Donna, owned and operated Dave and Donna’s, formerly Hoppa’s Corner, for 28-and-a-half years. He now does road maintenance in the Town of Weston. McDonald married Donna in 1966. They have four children – David, Dawn, Dean and Daniel. Dave and Donna have 12 grandchildren and two great-grandchildren. McDonald like to fix and restore John Deere tractors. He owns a 1942 John Deere A. During the summer, McDonald rides his 2013 Harley Davidson Trike and his 1979 Harley Davidson Road King. McDonald will be honored by the Legion with Dave Flynn and Armon Luchterhand this Monday, April 1, at the American Legion Post 73, 6 Boon Boulevard, Neillsville. A social hour starts at 4:30 p.m. and there will be a potluck at 5:30 p.m.